Food Should Taste good right? RIGHT. Do you love sweet potato? Do you like chips? How about a sweet potato chip. 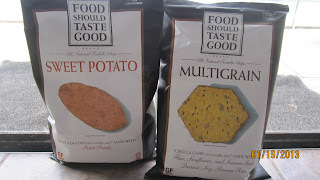 I was able to try out 4 bags of Sweet Potato chips which taste great. 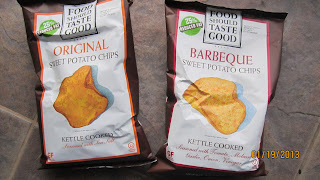 I was able to try the Sweet Potato, Muiltigrain (it went MIA kids got it) Sweet Potato Kettle cooked chips, and finally BBQ Sweet Potato Kettle Chips. Well I am not sure what happened to the Mulitigrain ones but I am guessing my kids got them and ate them up, so I never got to try these but from how the others tasted I am sure they were good. The Sweet Potato Chip, is very good tasted like a corn chip only made of sweet potato. I tried it with sour cream and wow it made the sweet potato taste great. The 2 Kettle Cooked bags are very good, the one is plain sweet potato and the other is BBQ which I preferred the BBQ one. Each bag of chips is 25% reduced fat, meaning healthier then a normal chip. My kids also enjoyed the chips they ate more then I did which was great because they are good for you. 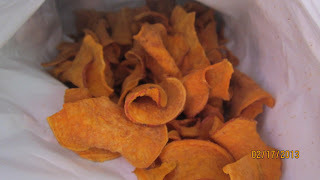 The BBQ Sweet Potato chips are seasoned with tomato, molasses, garlic, onion and vinegar which you can taste the molasses. Everything from Food Should Taste Good is all 100% Natural, meaning no words you cannot pronounce let alone know what they mean. 1oz of chips has only 150 calories, not bad for a snack. Food Should Taste Good also carries other types of chips and crackers! You can taste all kinds of Tortilla chips like White Cheddar, and I wanna try Lime and even Hemp. 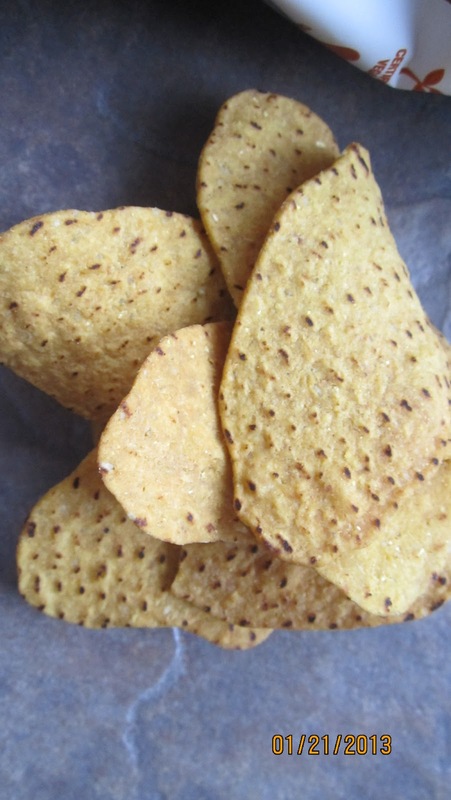 Food Should Taste Good carries only the one kind of cracker which is a Sea Salt Brown Rice Cracker, sounds good. You can see all the new and interesting choices of snacks by clicking here. Disclosure: I was given A case of chips to help with my review. All opinions are 100% mine. I would like the BBQ Sweet Potato chips! I want to try the Original Sweet Potato flaovr. I want to try the Sweet Potato. The Multi-Grain and the BBQ sound like I'd enjoy them! The White Cheddar Tortilla Chips! I'd love to try the Sweet Potato!